In an expansive move to provide a viable alternative to the long-standing and ongoing “Global Depopulation Policy” of the United Nations that he has done much to raise awareness about, Canadian/Romanian author, scholar, historian, and activist Kevin Galalae has recently opened his Center of Global Consciousness (CGC), founded in 2013, to active public membership. Despite being a very young NGO, the CGC’s accomplishments to date, Kevin Galalae reports, are second-to-none. “In the past five years, we have shattered the walls of secrecy and deception that have veiled the global depopulation program, provided incontestable scientific evidence of the use of covert chemical and biological methods of depopulation, exposed and explained every hidden aspect of the covert depopulation and coerced globalization axis around which the world revolves since 1945, changed policy in at least two dozen countries, discredited the UN system and the 189 governments that have cooperated in genocide, altered the public discourse and the relationship between people and governments, triggered a global reform of the chemical environment that will lead to the elimination of depopulation poisons, forced the Church to approve the use of contraceptives, and put the UN system and every government on earth on notice. The “Global Depopulation Policy,” a term Kevin Galalae coined to address the philosophies of “demographic transition” used by 189 countries worldwide in service to the UN’s policies of covert population control, has come under public scrutiny recently thanks primarily to his extensive scholarship and unflinching activism. In several books—Killing Us Softly, Peace Without Poison, Survival or Extinction, Chemical and Biological Depopulation, and now his newly-released work, Depop Secrets—he has traced for a yet unaware public how the once-peace-oriented policies of the United Nations, in seeking to preserve the Earth’s resources and limit populations, have gradually led to the worldwide establishment of a covert depopulation agenda quietly endorsed by governments and involving the use of subtle, undercover methods of endocrine disruption, chemical infiltration, and immune system overload. This agenda, covered here earlier, diabolical as it sounds, has apparently been a scheme in action for decades, embraced worldwide in different ways by governments, while populations have been kept in the dark. The vehicles? Vaccines, GMOs, chemtrails/aerosols, fluoride in public water, BPA in plastics, chemicals that act as endocrine disruptors in food additives and supplements. The effect? Essentially, to decrease human fertility and increase human morbidity, meaning, prevent women and girls worldwide from having babies, and, at the other end, among adult populations, increase the incidence of chronically debilitating diseases, reduce lifespan, and hasten death. Kept secret by governments, sanctioned at the highest levels by religious leaders including the Pope, as per an encyclical from Pope Paul VI in 1968, these protocols and policies appear to be connected with the Vatican. Moves to mandate vaccines worldwide as well as the grid of unnatural white streaks from planes leaving clouds of haze to whiten our skies are all apparently part of this Church-endorsed package. The inevitable, tragic, yet aimed-for results continue to come in as fertility in Western countries has plummeted, diseases like Parkinson’s, Alzheimer’s, dementia, and cancer have risen, the incidence of autism, particularly in the West, has skyrocketed, and increasing numbers of men and women even in their forties and fifties are being struck down by various means, including cancer. While non-governmental groups and activists worldwide tackle varying issues, in separation, of GMOs which cause DNA-alteration and sterility, chemtrails or aerosols which rain heavy metals in nanoparticulates down on Earth and its 7-billion human inhabitants alike, vaccines which sterilize and overburden the immune system, Galalae points out in his books that all of these are tied into the overarching umbrella of depopulation policy, and need to be addressed together as such. Seeking to raise public awareness, Kevin Galalae, who has paid a personal price for his work, including being imprisoned several times by the Canadian government and being separated from his children, has worked tirelessly on researching and writing books and articles, his fervour finally paying off as medical journals have started to take notice and publish his work, and physicians worldwide have welcomed his attendance and presentations at conferences. Notably, he reports being approached three times with substantial financial offers to buy his silence, which he has obviously refused, as he continues to make his research openly available. In a letter inviting known friends and activists from his substantial networks on Facebook and Linked In to become active members, he further explained his vision for the Center, which would function both as an online community of like-minded individuals sharing vital information on safe organic foods and unsafe chemical ingredients in processed foods on the market, as well as eventually a physical community with its own schools, farms, and hospitals. “The latest official actions and statistics show that the world’s governments and the UN system have no intention whatsoever of stopping the depopulation genocide and will continue to poison us into sterility and early death until the developed world has reached optimal population levels, as calculated in the Overshoot Index, and the developing world reaches replacement level fertility. They are committed to genocide and that is how they intend to accomplish sustainability now that the Sustainable Development Goals have been unanimously adopted. Indeed, in the absence of an enlightened population and a global replacement level fertility law, this is the only way they can accomplish sustainability. Yet, large numbers of people have either not learned of this or connected the dots yet. “To survive these dangerous times unscathed we have to organize and cooperate. Every individual who becomes a member will be on the lookout for foods, beverages and products in their country of residence that are free of depopulation poisons and will feed this information into the CGC’s central database that will cover every nation and region. We will all scout for food sources we can trust and that we know to be depopulation poisons free. Such products will receive the designation “Depop Free” and we will lobby farmers and manufacturers to adopt this designation on their product labels. New members are invited to draw others in, with the perks including Galalae’s new book Depop Secrets, information about the Global Depopulation program, general safety guidelines (to cover food, cosmetics, vaccines), a list of depopulation chemicals and where they are hidden, and as the organization grows, annual retreats, health care, and eventually the creation of self-sustaining organic communities replete with farms, housing, hospitals. For more information on Kevin Galalae’s books and articles, please see the articles below for lists. Kevin Galalae’s bio can be found here. Ramola D is a writer and independent journalist with a background in science, management, and literature researching issues in science, technology, and ethics relevant to our times, including issues related to Intelligence, Surveillance, Security, and Defense. She runs the solutions journalism site at The Everyday Concerned Citizen, and edits the online literary quarterly, Delphi Quarterly. Her literary journalism, fiction, and poetry have been published widely, more on this at her author website. Please follow her online at @EccEveryday, or on Facebook. This article may be reproduced in full or part with attribution and linkback. Please share widely. New beginnings, new energy, new shifts to individual empowerment–thanks so much for this post–glad to help spread the word. Re-blogging, with thanks! Re-posted from Our Greater Destiny, with thanks. Judge Anna von Reitz is announcing a rather tremendous piece of news, about setting right long-standing fraud against Americans, but also people in other countries, all over the world. Excerpt: “We, the living American People who claim our birthright political standing as American State Nationals—- Texans, Virginians, Ohioans, Wisconsinites, and so on— and who have moved back to the land jurisdiction of our native land, are the beneficiaries of our estates. Those who additionally act as Fiduciaries in behalf of our states on the land are American State Citizens, obligated by oath and honor to act in the best interests of all and to meet The Prudent Man Standard in all those actions we undertake. For many who have grown up listening to a constant litany of “National Debt” news, it may come as a great surprise to learn that you are, as American State Nationals, not in debt. You are by far the richest people on Earth. In fact, you and your States are the Priority Creditors of the entire world. The debt that the rest of the world has owed us has been so insurmountable that it has served to quash business and growth, spawned a huge black market in counterfeit currencies and “derivatives”, and caused unnecessary suffering that needs to end. So, in our own right and in your names, we’ve have moved to end it. As your servants and as “Prudent Men” we have requested a worldwide accounting and set off of debts, meaning that our debts to other nations are to be set off against their debts to us. What remains as “insurmountable debt” owing will be forgiven—written off, so that everyone can have a clean start. This is being done to regenerate hope and economic freedom and to prevent any necessity of war or undue suffering. It is well-within our ability and in our best interests to do this. Our fortunes are so vast that it doesn’t even matter. We are the beneficiaries of approximately 185,000 of the richest corporations on Earth, approximately 10,000 state of, county of, and municipal corporations in this country, and corporations like CANADA and AUSTRALIA that “own” entire countries, together with all their corporations under them. The human mind is like Velcro to negativity. With all the negative press bombarding humans daily, there exists equal and opposite good news. I PRAY the following is a new beginning for everyone with ‘no’ strings attached. Where our focus goes energy flows. Energy is Creation in action, so please allow yourself to imagine, sense, feel the emergence of a positive world-wide shift. Think about, talk about, rave about, feel about, write about, and get excited about living free, in a world of peace and limitless new possibilities. Re-posted in the public interest, from Defending Dissent/BORDC, with many thanks for this news and this initiative. Please visit there for ongoing news and action to protect citizens from unwarranted and intrusive surveillance. Please note that this initiative requires public engagement, by anyone who’d like to see arbitrary, unwarranted, intrusive, and violatory surveillance ended. Surveillance technologies that are being used by local police departments today plausibly include the use of pulsed radar, micro-Doppler radar, and Through The Wall Surveillance (TTWS) Devices, all using sophisticated military-grade Electronic Warfare microwave/radar “Target Recognition” and target-tracking technologies (radiation/sonic weaponry) (under electronic/biometric surveillance labels) which most know little about, to be covered here soon. 11 cities are considering CCOPS ordinances. Do you know what surveillance equipment your local police force has? Do they roam the streets with an ALPR, scanning license plates of parked cars on the chance one of them is a stolen vehicle? Are ShotSpotters installed in your neighborhood, recording all the sounds that go on around them and around you? Is your cell phone being tricked into connecting to a police Stingray device rather than the nearest cell tower when you make a phone call? Chances are good that your local police is making use of at least one of these invasive surveillance tools, or perhaps some other, unbeknownst to you or even your city council. On Tuesday September 21, we joined the ACLU and 14 other groups to launch a new campaign to make police surveillance more accountable to the communities law enforcement is supposed to serve. It’s called Community Control Over Police Surveillance (CCOPS). The campaign will engage with local coalitions to pass ordinances to require that any new aquisitions of surveillance technology be approved by the city council. While this may seem like an obvious policy decision, in many communities elected officials, much less the public at large, are completely in the dark about what technology their local police are using. Before the city council even considers allowing police to acquire any surveillance technology, the ordinance mandates that the community be given significant involvement in the decision and the city must consider civil liberties and civil rights impacts of using such technologies. Already, eleven different cities are considering legislation to accomplish this end, but our goal is to pass CCOPS ordinances in many more cities across the country. The Bill of Rights Defense Committee/Defending Dissent Foundation (BORDC/DDF) is proud to join the partnership, which was spearheaded by the American Civil Liberties Union and includes many of our long time allies, such as the Council on American Islamic Relations, Demand Progress, Fight for the Future, and the Tenth Amendment Center. See the CCOPS guidelines below. BORDC/DDF grassroots partners have successfully passed local ordinances and resolutions through the years. Over 400 cities and towns passed resolutions against the Patriot Act, and cities from Asheville, NC to Hartford, CT have passed laws based on BORDC/DDF’s Local Civil Liberties Protection Act (LCLPA). The CCOPS campaign provides an opportunity for grassroots groups to to come together to make significant progress to promote transparency and push back against the surveillance state. As technology evolves, police across the country are equipping themselves with even more sophisticated ways to spy on us. While unchecked law enforcement surveillance poses a threat to all of our liberties, this technology is disproportionately deployed against working class neighborhoods and communities of color. This constant surveillance and criminalization of entire communities only heightens the need for the people to know what technologies the police intend to turn on them, and to have a chance to say NO. Please read the Truthdig article in full to discover how exactly the prison system has been structured to prevent outside interference and permit bureaucratic mayhem, as per the Administrative Remedy Process which all prisoners are supposed to go through if they need immediate medical attention or have a complaint, a “Process” involving paperwork, delays, and weeks/months/up to a year of processing. For immediate medical attention, it looks like prisoners need our help from the outside; we need to make those calls and write those emails immediately. Sep 21: Please write, call, or email to speak on Jeffrey Sterling‘s behalf, to ensure timely and urgently needed medical treatment for him in prison. 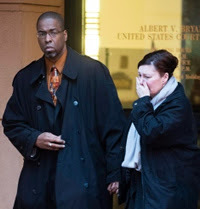 Jeffrey Sterling as you may know is the CIA whistleblower who had sued the CIA for discrimination related to employment issues and was later charged under the Espionage Act for leaking of classified information regarding the CIA’s “bungled” undercover operations in Iran to James Risen of the New York Times. More on his story may be found at this Nation article. RT covers the urgent call for humane treatment and urges treatment of his heart condition. The Intercept calls this week for a pardon of all whistleblowers. Roots Action features this call from his wife Holly Sterling to all Americans and citizens worldwide of conscience: please speak out to assist this CIA whistleblower, whose health from all accounts needs immediate attention. Source: Email/Roots Action. During this morning’s telephone conversation with Jeffrey, he informed me there was a date he was to see the medical specialist. Sadly, that date has come and gone. I remain in complete and utter disbelief that Jeffrey’s dire medical issues continue to be blatantly ignored to the point of medical negligence by the prison. To cause further angst, Jeffrey told me a fellow individual recently requested to report to sick call immediately. His request was denied by the corrections officer as it was prior to the “official” sick call time. Tragically, he died a couple hours later. The cause of death, a HEART ATTACK! Friends, I cannot and will not let Jeffrey suffer the same tragic consequences. I am requesting your help once again to get my beloved husband the medical treatment he is inherently entitled to as a human being. Every day I am plagued by unimaginable fear when my telephone rings, as when the caller ID says “private,” I am terrified if it is going to be Jeffrey’s voice on the other end or that of a prison employee with terrible news. ** You may once again email or phone the Warden, Deborah Denham, demanding that Jeffrey receive the necessary and proper medical care. You can contact her at ExecAssistant@bop.gov or call 303-763-4300. In addition to contacting the Warden, please email or call the North Central Regional Office that is responsible for oversight and support to FCI Englewood and other prisons in its jurisdiction. You may email Sara M. Revell at NCRO/ExecAssistant@bop.gov or call 913-621-3939. ** Chances are you’ve already signed the petition for President Obama to grant Jeffrey an immediate pardon. Now I hope you’ll encourage others to sign it as well. Mindful that the president will be vacating his office soon, I will be making my way back to DC for a final plea. ** Your help for the Sterling Family Fund — donating here — would assist with me hiring a lawyer, as it currently appears that may be the only way for Jeffrey to receive proper medical care. The Fund also continues to allow me the privilege to visit with Jeffrey, and I pray my recent visit will not be the last. Jeffrey and I remain grateful and humbled by your actions and support standing in solidarity to get him the medical help he is entitled to. We honestly could not continue without your support and help, as tragically our government continues to demonstrate how powerful and evil it truly can be. We wish all of you health, happiness, and peace to you and your families. Posted from email today from AE911Truth, with thanks. Interesting example of mainstream media swooping in to try to distort and disappear the narrative. So it’s not just information about covert programs of ongoing neuro-experimentation targeted for disappearance by media like The Washington Post or The New York Times or The Guardian (who won’t cover its exposure by whistleblowers such as ex-Navy David Voigts, in his marathon walk across America) but also discussions of demolition of the Towers in a major Physics journal. Mainstream Media Shows Its Hand? Luckily, for those of us who prefer Physics to media distortions and lies, Joseph Jankowski assures us Mainstream Media Is Dying: A New Poll Shows Only 6% of People Trust Mainstream Media. Share this Groundbreaking Article with Everyone You Know! Last Friday, while AE911Truth was busy preparing for the Justice In Focus conference, a controversy of sorts erupted after Facebook displayed one of the many articles about our Europhysics News feature on its trending news feed. A reporter from the Washington Post apparently felt this was not an acceptable subject for Facebook to be spreading around — no matter how many people were talking about it. In a matter of hours, a wave of frenzied pseudo-journalism broke out in the mainstream news media. From the Washington Post to the Daily News, they chastised Facebook for allowing algorithms rather than gatekeeper editors to decide what should be circulated in its trending news feed. Eventually Facebook was forced to remove the news item. Amid the firestorm of indignation, only Alan Yuhas of the Guardian bothered to actually look at the original article at the center of the controversy. But, as to be expected, he went to great lengths to smear and minimize the authors. And despite the fact that Europhysics News is published by the prestigious European Physical Society, Yuhas preferred to cite Hearst-owned, pop-science magazine Popular Mechanics and parrot its claim that it disproved such “conspiracy theories” long ago. Yet again the mainstream news media has proven it will pull out all the tricks in its bag to suppress or dismiss the evidence of controlled demolition on 9/11. But that won’t stop millions of decent, concerned citizens around the world from sharing this information with friends, family, colleagues, and even strangers. You can do your part by sharing this breakthrough scientific article with everyone you know. Right now it’s nearing 200,000 views. How far will it go? This year, as we collectively mark the fifteenth anniversary of 9/11, remembering that momentous golden September morning in 2001 when thousands unexpectedly died, as well as the many horrific years of war and oppression that have followed, as we look around at this untenable Surveillance and militarized police state (replete with CIA torture, covert Control operations, and clandestine non-consensual neuro-experimentation and weapons-testing) that has come to America, as also to many other countries in the world, we already know, many millions of us, that the official 9/11 story was a lie. The scales have fallen from our eyes, thanks to the erstwhile efforts of many dedicated researchers, scientists, engineers, architects, journalists, and documentary film-makers. PBS, Top Officials Question 9/11 Official Story/WantToKnow.Info “For the 15th anniversary of 9/11, Colorado’s PBS station, CPT12, has produced a most awesome 9/11 documentary. Titled “Demolition of Truth: Psychologists Examine 9/11,” this incisive production honors the many victims of this great tragedy, yet also finds many revealing problems with the official story of 9/11. Watch it free at the link below and tell your friends. Former Whistleblowers: Open Letter to Intelligence Employees After Snowden. “The NSA buried key intelligence that could have prevented 9/11. The agency’s bulk data collection from internet and telephone communications is unconstitutional and illegal in the US. The NSA is ineffective at preventing terrorism because analysts are too swamped with information under its bulk collection programme. Electronic intelligence gathering is being used for covert law enforcement, political control and industrial espionage, both in and beyond the US. Ex-NSA senior official Thomas Drake, whose first day on the job at NSA was 9/11, and who was indicted after reporting corruption at the NSA, in accepting the 2011 Sam Adams award for Associates for Integrity in Intelligence, exhorts all listening to recognize the great dangers of loss of democracy we face through all-extending surveillance, and to stand up for the American Constitution and hold government accountable, at all times. The full transcript and video of this very inspiring speech may be found here, at the Real News Network site. Former Department of Justice Ethics attorney, Jesselyn Radack, who responded with heart to accounts of Thomas Drake’s experience as a whistleblower, eventually represented Thomas Drake, and was the subject, with Thomas Drake, of the film Silenced by James Spione, concurs, and urges all Americans in an inspiring speech at the end of this joint interview to use their own diverse and varied talents to make a stand, whether it be through poetry, art, film, or prose, to question and challenge the Surveillance State, to be persistent, and to make every effort to help turn things around, to return privacy and freedom to our lives. The video link to that interview on Youtube is below. Guantanamo Defense lawyer and retired Army Major Todd Pierce, in conversations with Philip Weiss of Mondoweiss, offers his thoughts on wrongful directions in American foreign policy, wars in the Middle East “fostered by propaganda and falsehood”, and these developments as threats to American democracy, as reported in two articles linked at the Sam Adams Associates for Integrity in Intelligence site, Everything That We Have Done Since 9/11 is Wrong, and The United States of Innocence. Ex-NSA whistleblower, linguist, and veteran Intelligence analyst Karen Stewart details below in conversations with Mark Hoffman of Patriot Nation (starts midway/1:13:44) at BlogtalkRadio/World Integrity News Network, and with Phil Marie at The Wheel of Freedom her own experience of injustice at the NSA, failures in intelligence that led to 9/11, and covert NSA retaliation for her whistleblowing that, shockingly, includes organized counterintelligence harassment (COINTELPRO) and covert attack with electronic-warfare weapons such as pulsed microwave and ultrasonic weapons. In an extraordinary and dramatic account of events that transpired at her NSA workplace on 9/11, Karen Stewart reveals a disturbing picture of in-house corruption at the NSA where actionable intelligence on 9/11 was deliberately suppressed, and honest Intelligence analysts hounded. She conveys the troubled musings of those, who like her, ask: Was 9/11 actually permitted, by those in power at an agency supposedly committed to “National Security” primarily to gain billions in funding and establish our current Surveillance state? As we approach yet another anniversary of 9/11, 14 years after the fact, almost every adult in the USA can remember where he or she was that day, that morning, – and the gamut of emotions that played out in their hearts and minds. On that day we Americans could not imagine a horror and injustice beyond such a scope, nor even begin to fathom the demonic depravity of those who had devised and executed such a plan. But in two days time, I would discover something far worse that would stay with me forever, that my employer, the National Security Agency, had knowingly allowed the attack on September 11, 2001. At that point in my life, I had been an intelligence analyst for about 20 years. I came from a military family, my father had served in the Air Force, served in Vietnam, helped plan the defense of the Fulda Gap in Europe against potential Soviet invasion in the 1970’s, and had retired back to his hometown with his family, where I finished up college. Instead of going into the military, I decided to use my talents and abilities to serve my country within the intelligence community, thus I applied for and got a position with the National Security Agency in 1982. Due to my generation’s known experimentation with recreational drugs, my initial session with the NSA job interviewer became contentious when she required me to admit that, I had done drugs but promised to never do them again while employed by NSA. She simply refused to believe anyone my age had the character to refuse to participate in drinking and drug experimentation, but I had decided early in my life that that was not for me. A job interview polygraph proved I was telling the truth. I was hired with no problems in my background to ever cause NSA any heartburn. On the morning of September 11, 2001, my small team of workers were the first who had moved into an almost empty division size room on the backside of NSA in the Weapons & Space Division, so we had it almost completely to ourselves, but for our female Deputy Division Chief manning the front office. A little before 9:00 am, she ran over to our area, telling us to quickly come to her office to see an awful event unfolding on TV. When we got there, we saw smoke pouring out of the first Twin Tower struck, but it was not clear what had happened. When the division chief said that a commercial jetliner had struck the building, we suspected it was no accident. When we saw the second jet approaching we knew it was an attack and that there could be more targets. While NSA upper management was silent, I convinced a coworker to leave and go home since he was an older man with severe mobility issues. I got him to his car and saw him off. As I was returning to the building, people began leaving the building telling me that NSA management had finally decided to release the workforce. We had wondered why management had taken so long to come to an obvious conclusion, but we learned later that they had told their assistants to release the general workforce only after the last executive had left. When the general workforce was released en masse however, the main complex became a massive traffic jam with people stuck in their cars for literally hours, according to friends who worked in other areas of NSA HQ. Had NSA been targeted, many would have perished in their cars. I lucked out in that I parked in a lesser frequented area and was home in 15 minutes. Like all of America, I sat glued to the TV, trying to make sense of it all. I believe the general workforce was allowed to return to work Thursday, September 13th. As I walked down the hall toward my office, I came upon a group of people standing in the hall. There were 3-4 women standing around a man in his early 40’s, who was not only crying, but crying in almost breathless, heaving sobs that were making his whole body shake. His story came out in bits and pieces, beginning with – “all those people did not have to die”, “we could have saved them”, “we knew this was being planned six months ago, but they – meaning NSA upper management would not let us (meaning, him and his team) issue the numerous reports they had written, outlining the who, what, where and why of the attacks. When his team thought the problem was convincing evidence, they went into overdrive to gather even more evidence to convince NSA management to allow them to warn the appropriate authorities, he said that NSA management used NSA Security to begin threatening them, demanding that they cease and desist bothering management about this plot and cease investigating this topic or they would face disciplinary actions even up to and including job dismissal. Once “Hero” was fraudulently fired by Security using NSA’s tried and true psychological gas-lighting attack conspiracy to circumvent the Federal No Fear Act, which clearly forbids retaliatory dismissal and fraudulent psychological attacks as well as other abuses of power, NSA Security’s harassment did not stop there. Though “Hero” had highly sought after, unique talents, NSA Security blackballed him from any other Federal job to keep him from finishing up his 30 years with the government that would have enable him to collect full his Federal pension and then sabotaged through vicious slander, any and all well paying positions he applied for in the private sector for about a decade – keeping his ability to earn a living at a bare minimum. After the decade of “punishment” for trying to go against NSA’s wishes to save the 9/11 victims, he was told that Security would “allow” him to finally apply for a job commensurate with his talent an education, without telling his new employer lies about him to ruin his prospects or viciously slandering him throughout a new community as they had previously. But Security caveated that with the warning that if he ever spoke about the fact that NSA had had all the information needed to thwart the attacks 6 months before they happened, that they would hound him the rest of his life and keep him from ever again holding a job with a living wage. “Hero” also reported that occasionally he still would return from work to find that someone had gotten into his home and rearranged his belongings as a message to him that he is still being watched and that they can get to him any time that they want to. So, “Hero” will forever remain an unknown American hero who lost so very much in his efforts to save his fellow Americans, which is truly a shame. But the fact that people still in power at NSA felt that they had the option of reporting intelligence that would save almost 3,000 American lives or sit on it in order to trick Congress into throwing an unending supply of money to them, for which they are by and large unaccountable, as well as writing legislation for them to satiate their desire to subvert the Constitution, is and should be a serious concern to all thinking Americans. Next Monday, September 12, marks the date for an upcoming court appearance scheduled for Rohinie Bisesar, the strikingly beautiful and accomplished financial services analyst and York University MBA with no previous criminal record charged with first-degree murder in the sudden stabbing death of a young woman. Rosemary Junor (28) was the vibrant, newly-married woman stabbed on December 11, 2015 in the underground PATH shopping mall complex in Toronto, who sadly succumbed to her injuries a week later. While Rohinie Bisesar is considered by mind-control activists in Canada to be a possible victim of neuro-experimentation, the new frontier of absolute human control being covertly explored by military/Intelligence agencies (as per the accounts of victims, scientists, and whistleblowers), for a long while it was not clear to activists whether her defense attorney, David Connally, had indeed conveyed to Ms. Bisesar that there are others in Canada familiar with the symptoms of neuro-experimentation, sympathetic of her situation, and interested in helping her. This writer is pleased to report that David Connally confirmed today that a letter of information and support, provided by Galina Kurdina, an activist with the Canadian Organization for Victims of Psychotronic Weapons, was indeed conveyed to Rohinie. “I can confirm that Ms. Bisesar has received the letter you referenced.” Mr. Connally, who said he did not wish to comment on her case, said he had been caught up “in an ongoing trial matter that concluded today,” a reason possibly for his inability to respond earlier to queries on this case. Additionally, in response to concerns that Rohinie Bisesar be kept abreast of coverage on her case in the media, including coverage here on the mind control activists seeking to reach her, by this and other interested journalists–as an issue of basic human rights, especially given her own interest in how she is being portrayed in media as per her words to other Toronto reporters–David Connally noted that he hopes to keep her informed. Joshua Byer, who has attended at previous court appearances and earlier tried to contact Rohinie Bisesar at Vanier Jail and through her attorneys (both her previous attorney Calvin Barry and current attorney David Connally), states that he was present at her most recent court appearance on August 8, which was reported in the Toronto Sun and other Toronto newspapers. “Bisesar, 40, interrupted proceedings, requesting permission to address the court. Bisesar said that something had happened to her, beyond her control, which instigated the stabbing. She claimed she would never commit such an offence and that she considers it “terrorism” and “an international crime” — a situation that needed to be addressed immediately. “When we saw Rohinie, she had her shoulders rounded in a fashion I have found they have forced me into in the past. She spoke of a skin condition that went away as soon as she was transported to the hospital, which is in line with what they do to other people and myself personally. She mentioned a common law partner that was supposedly experiencing the same thing. The physical, neuro-muscular disruptions of posture mentioned above, as also involuntary, externally-induced movements of arms and legs, have been reported by other victims of covert neuro-experimentation in testimonials, affidavits, and at public forums such as the 2011 Presidential Bioethics Committee Meetings in Washington DC and New York, and at various of the Secretary’s Advisory Committee Human Research Protections Meetings in Maryland from 2011 to 2016. Many have also reported similar rashes—possibly a form of radiation dermatitis—induced externally and temporally on their skin by covertly-used directed-energy weapons. Prisoner accounts of remote and covert electronic harassment with directed-energy weapons or, in prison parlance, conducted-energy devices or RF (Radio Frequency) offender-monitoring systems, are not new, although they are still being censored. Guantanamo prisoner Khalid Shaikh Mohammed recently spoke out about being electronically harassed and abused with radiation weapons while a captive in jail, in a testimonial where the video feed and transcript covering his description of how the prison was equipped for “vibrations” on his body was redacted (with a “security classification button”). Also of note is the fact that Suja Vijayan, Director of the World Coalition Against Covert Harassment, World-CACH, “an organization working for justice for the technologically marginalised, harassed, & criminalized,” wrote to David Connally in July, seeking to inform him about covert experiments being run by various unknown agencies in the areas of neuro-control and behavior modification. “I hope you are open to widen your perspective about the technical feasibility of her claims, though her narrative can be sketchy, as she seemed new to research on behaviour modification technologies (per her & her friends’ accounts in the media). What she seemingly doesn’t realize is how common this implant steering has become and how difficult it has become to trace the criminals (who) misuse NEUROWEAPONRY via hijacking the ICT (Information and Communication Technology) equipment all around us. “I was intrigued by the fact that these critical life devices communicate wirelessly. I decided to look at pacemakers and ICDs (implantable cardioverter defibrillators) to see if they communicated securely and if it would be possible for an attacker to remotely control these devices,” Jack told Vice last month. …After around six months of research, Jack said he developed a way to hack one of those devices remotely and send it a high-voltage shock from upwards of 50 feet away. Is it possible this potential for abuse is currently being exploited, even as frantic attempts are being made today by propaganda-producing corporate media—such as The New York Times and The Daily Beast–to dismiss the reports of neuro-experimentees as “paranoid and delusional”? Many observers and analysts think so, including Cheryl Welsh, founder of MindJustice, whose cornerstone 2013 paper Misled and Betrayed: How US cover stories are keeping a Cold War weapon and illegal human testing secret discusses a six-decades long program (from the ’50s) by US Military/Intel in neuro-experimentation that is being kept covert, at detriment to the thousands of non-consensual neuro-experimentees speaking out today who are still essentially being ignored by a largely unaware and mis-informed society. Referred to as “Targeted Individuals” and falsely labelled delusional, it appears that propaganda pieces in mainstream media seek to condition readers into viewing all reporting neuro-experimentees (of undisclosed classified experimentation) as schizophrenic, unreliable, and dismissable. On this count, David Voigts, the former US Navy officer who is walking across America to bring attention to victims of non-consensual neuro-experimentation, the issue he is whistleblowing about, said in a recent interview to Joyce Riley on the Power Hour that “these people need our help” and deserve open public awareness of their plight. Keen to speak about “a human-machine-interface weapons system” he has learned about during his work and studies in Special Warfare and Electronic Warfare, that is being non-consensually tested on random members of society, he says that the mass shooters we see, such as Aaron Alexis, the Navy Yard shooter, Myron May, the FSU shooter, and others, are all evidence of this secretive weapons system in action. Rohinie Bisesar, he considers, is another victim of this weapons system, responsible for the takeover of her brain and body, in perfect “Manchurian-candidate” fashion in the execution of this remote-controlled crime—exactly as she claims, herself, in every court appearance. In her July letter to David Connally, Suja Vijayan made mention of laws in some states of the United States which ban Electronic Harassment (such as Michigan and Massachusetts) and others which prohibit hacking into pacemakers in India, and suggested to this Canadian criminal defense attorney that an honest defense of Rohinie Bisesar could indeed be made, as a victim of externally-induced neuro-crime “steered” by the real criminal, the neuro-experimenter. “Hacking into heart implants (pace-makers) is categorised under CYBERCRIMES in India. Use of Psychotronic weapons & neuro-modification/bodily harm via EMF weaponry is banned in the USA. I can help you with local laws in Canada and also help raise funds via our group in Toronto if need be. “This could also be, very well, a precedent where actual culprits who ‘steer people’ to make them commit acts of crime or modify their behaviour are punished, instead of the victims themselves. By this analysis, World-CACH points out that there are indeed two victims here, both being targeted covertly by an external third-party. Suja Vijayan reports that she recently followed up on her letter with an email asking Mr. Connally if he would prefer if World-CACH “approached him officially (via a court petition or a legal notice) so that he is ENABLED to act on our concerns” in order to communicate with activists and with Rohinie Bisesar on the subject of covert neuro-experimentation. Will Canadians & The World Wake Up to Covert Neuro-Experimentation and Bio-Robotizing of Humans Ongoing Today? Stepping out of the realms of speculation, fantasy, and science-fiction today, covert neuro-experimentation has “come of age” and is being discussed widely today–if only in many closed circles–by writers, scientists, whistleblowers, and those non-consensually experiencing its effects. Given Rohinie Bisesar’s impassioned avowals of her innocence and her pleas for help and understanding of the peculiar brain takeover she has experienced—as reported also in several earlier articles here , here, and here–in appearance after appearance in court, it is to be hoped that Canadians of conscience and integrity will step forward to acknowledge these pleas, and act to publicly assist her. Not just Canada but all of humanity is at a crossroads today in the consideration of the particular case of Rohinie Bisesar. The spotlight on her case offers an opportunity for all of humanity and neuroscientists and whistleblowers in particular to step forward and speak out about the absolute plausibility of her claims that her brain and body have been bio-hacked by a remote Brain Computer Interface (BCI) system, and that she has been thus invasively assaulted, manipulated, exploited, and used by an external third-party in the creation of this crime–which has therefore created two victims, not one. One may well ask: Is humanity going to keep on ignoring the absolute reality of Bio-Hacking and Neuro-Experimentation in our midst, or are 21st-century citizens going to wake up and put an end to it? Neuroscientists and concerned citizens are encouraged to speak out. Activists continuing their dedicated efforts in Toronto to reach Rohinie Bisesar with information would also appreciate their active participation and help. In particular, Joshua Byer asks that large numbers of concerned citizens show up at her next court appearance, on September 12, in efforts to once more reach Rohinie Bisesar and her lawyer, in person, with evidence of their support. David Connally’s law-firm may be reached online at FromsteinLaw.com. Media worldwide is encouraged to follow and report, in truth, and with integrity, on this paradigm-breaking case. Ramola D/Washington’s Blog: Rohinie Bisesar: Psychiatric Illness, or Long-Term Covert Neuro-Experimentation and a “Manchurian Candidate”? Ramola D is a writer and independent journalist with a background in science, management, and literature researching issues in science, technology, and ethics relevant to our times, including issues related to Intelligence, Surveillance, Security, and Defense. She runs the solutions journalism site at The Everyday Concerned Citizen, and edits the online literary quarterly, Delphi Quarterly. Her literary journalism, fiction, and poetry have been published widely, more on this at her website. Please connect with her on Twitter at @EccEveryday, via email at ecc@nym.hush.com, or on Facebook. This article may be freely re-published online in full or part with attribution and linkback. Please share widely.